Canada’s reputation as a maple-scented land of sorrys has never done it justice. The world’s second-largest country may not boast the geographical diversity of the United States, but it lacks none of the majesty. 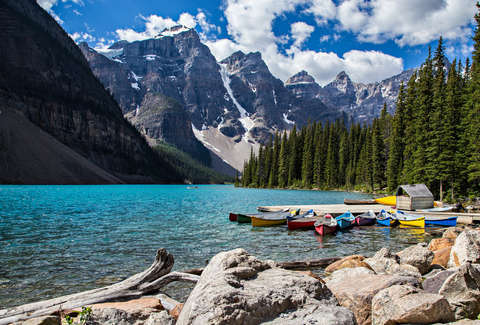 The Rockies get only more spectacular north of the 49th parallel; the temperate Pacific rainforests of British Columbia boggle the mind; the interior prairies are dotted with geological oddities; and the Arctic opens up as the literal roof of the world, carved across eons by mountainous glaciers. 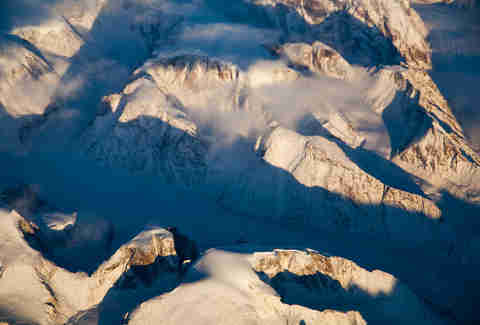 Basically imagine everything that makes Alaska so epic and multiply it across a country six times larger. And unless you’re reading this from Hawaii, it’s possible to drive there. Maybe the only reason you don’t know more of the sites on this list: Canadians are terrible at bragging. So, here, let the pictures do it for them. 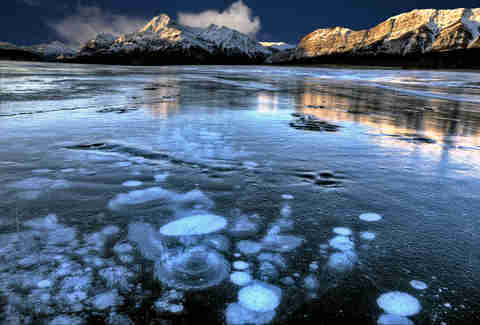 As winter temperatures at this Canadian Rockies lake plunge to minus-30 Fahrenheit, methane gas from decaying organic material at the bottom takes on an ethereal formation. By the millions, bubbles stream upward and freeze fast in the ice. The result is a hard-frozen lake top with constellations of glassy orbs suspended underfoot -- a gorgeous sight with an edge of danger, given the flammability of the gas. After the thaw, this vast sapphire lake remains stunning in summertime. Don't leave without: Getting a few snapshots. The curious phenomenon of the frozen bubbles is catnip for photographers. 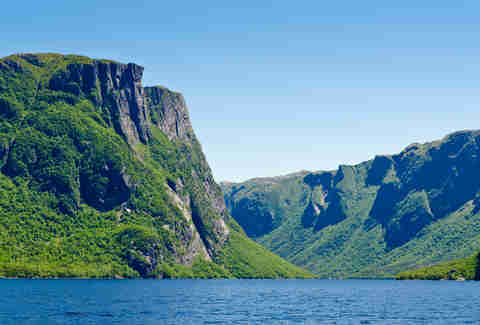 The 10-mile-long Western Brook Pond in Gros Morne National Park, on the western edge of Newfoundland, is a natural masterpiece -- and just getting there is an adventure. From St. John’s, the only major city on the island, drive eight hours. Then hike two miles to access the boats that will take you out on the pristine lake waters for incredible views of cascading waterfalls, billion-year-old cliffs, and the Long Range Mountains. Quite simply this is a watery wonder, as it’s home to a 50ft tidal range, the world’s largest, five times higher than the average on the Atlantic. 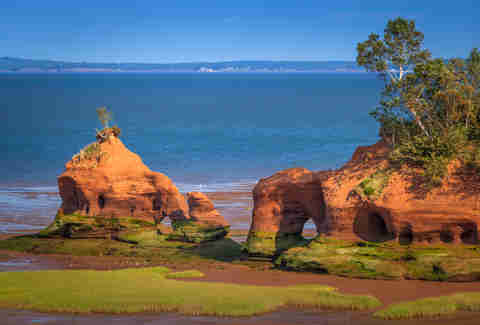 Twice daily, some 160 billion tons of water move in and out of the Bay of Fundy -- enough to fill the Grand Canyon. That action draws rafters, kayakers, and anyone hoping to catch a glimpse of whales or the critters in the many long tidepools. Don't leave without: Heading to the coast to see the Hopewell Rocks. At low tide, walk along the ocean floor and see naturally eroded rocks shaped like arches and keyholes. By high tide, the ocean will swallow all but the tops of the columns. This vast treasure in the Canadian Rockies is a hotspot year-round. During the summer, enjoy epic backcountry hikes, plus visits to waterfalls and glacial lakes; during the winter, Marmot Basin offers 1,675 acres of skiing terrain. The Jasper SkyTram gives you 50 miles of views from 7,472ft up Whistlers Mountain. As a dark-sky preserve, the park strives to eliminate any light that could interfere with views of the universe at night, making it a destination for stargazers and astronomers. Don't leave without: Road tripping the Icefields Parkway, one of the world’s most scenic drives, featuring 100 ancient glaciers and a glass-floored observation walkway 280 meters above Sunwapta Canyon. 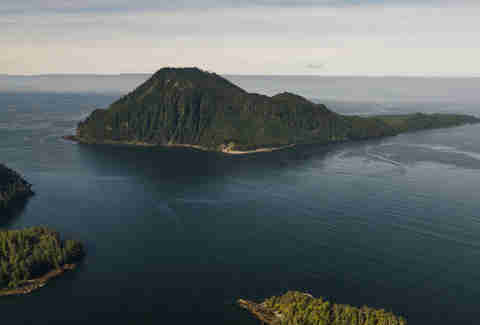 Haida Gwaii, the northernmost island chain below the Alaskan panhandle, is rich with First Nations culture, rainforests, and cliffside ocean vistas. The 150 islands (Graham and Moresby are the largest) and the Haida people on them are renowned for their totem poles and argillite carvings. In June through August, travelers can find summer festivals, including performances by local Haida performers, as well as indie, rock, and Latin groups. People around the world know PEI, Canada’s teensiest province, as home to fabulous oysters and, maybe incongruously, Anne of Green Gables. 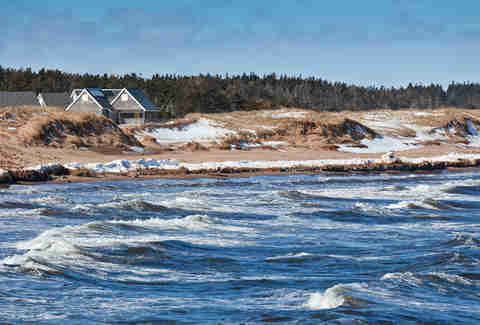 Even without the literary tourists flocking to Cavendish Beach, it would be worth seeking out for its sandy-white shoreline, rocky red cliffs, and historic architecture. It’s also a playground for deep-sea fishing, kayaking, parasailing, and golfing. Banff National Park, a few hours north of Montana on the border of Alberta and British Columbia, is the zenith of the entire Rocky Mountains -- tall, jagged, glorious. 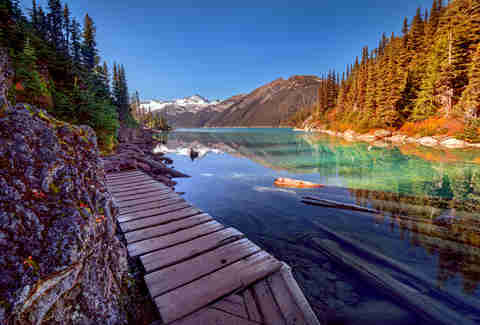 But even within Banff, Lake Louise is a standout. Its glacier-fed waters sparkle a Caribbean blue, ringed by alpine backdrop straight out of a Bob Ross painting. In the summer, paddle around the 1.5-mile-long lake or hitch a sightseeing gondola to the top of Mount Whitehorn for views of the lake and Victoria Glacier. 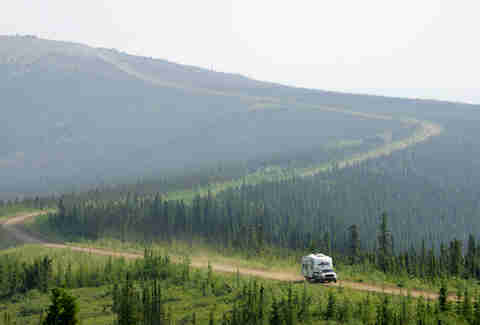 The Dempster Highway is 450 miles of gravel-topped adventure as it winds north from Dawson City: through the Ogilvie and Richardson Mountains, past the Arctic Circle, past tundra scenery, river ferries, roadside grizzlies, endless sun, and rugged backcountry camping in Tombstone Territorial Park. Don't leave without: Hiking through land barely touched by humans and free from pollution. Just find some land away from the highway and start exploring tundra, forests, and hills. In the Big Muddy Badlands lies a dramatic ice-age relic: a stunning formation of sandstone and compressed clay rock blasting up from the middle of the prairie. 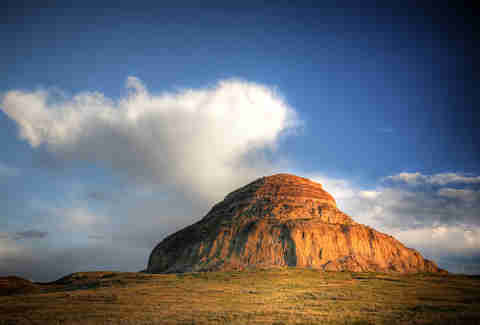 A century ago, the badlands were the northern end of the “Outlaw Trail,” where famed bandits hid from US authorities in caves and used the 230ft-tall Castle Butte as a lookout. 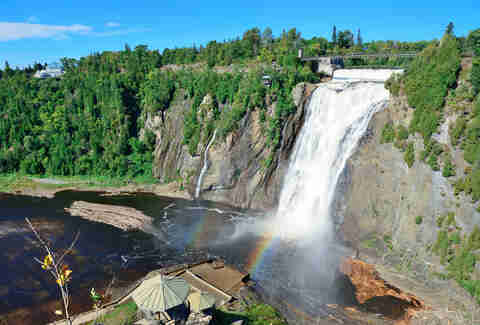 The cliff where the Montmorency River tumbles into the St. Lawrence is 275ft tall -- more than a third as tall as Niagara Falls. Seven miles from Quebec City, you can take in the falls from a cable car or by climbing the staircase by the visitor center. Rock climbers may clamber around the interior of the canyon, rappelling down the rocks to a zip line across the canyon. 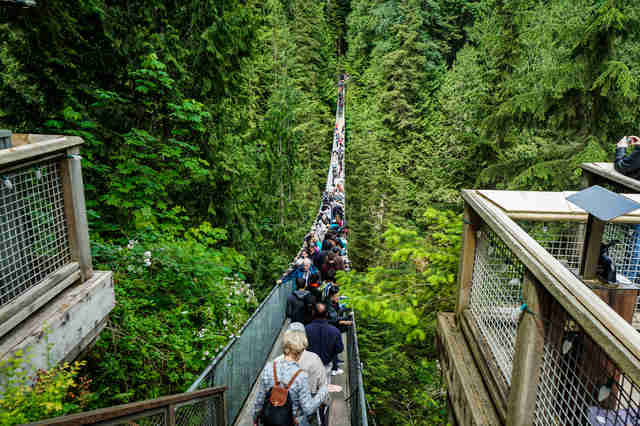 Built in 1889, the 450ft-long Capilano Suspension Bridge dangles 230ft above the Capilano River, a major water source for Vancouver residents. It may be a man-made attraction (no doubt, incredibly designed), but it offers one of the most amazing vistas of the West Coast rainforest -- best after a rainfall, striking any time of year. The name of the park means “the land that never thaws,” in case you were wondering how warmly to dress. The Penny Ice Cap, a remnant of ice-age glaciations, covers Auyuittuq with its broad, rocky valleys and sheer-faced mountains. Adventurous explorers will enjoy hiking unmarked routes above the Arctic Circle; skiers can follow Akshayuk Pass and set up camp at Summit Lake. Don't leave without: Climbing the 4,000ft peak of Asgard. Or at least imagining the feat.